We set off with my friend, chef and host Jani early on a Sunday by car to Lapland. 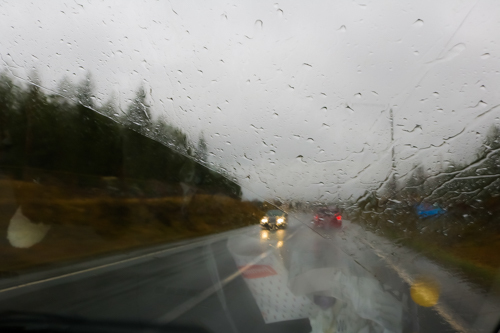 We had 8 hours ahead of us, the weather was rainy and about 2 degrees celsius. 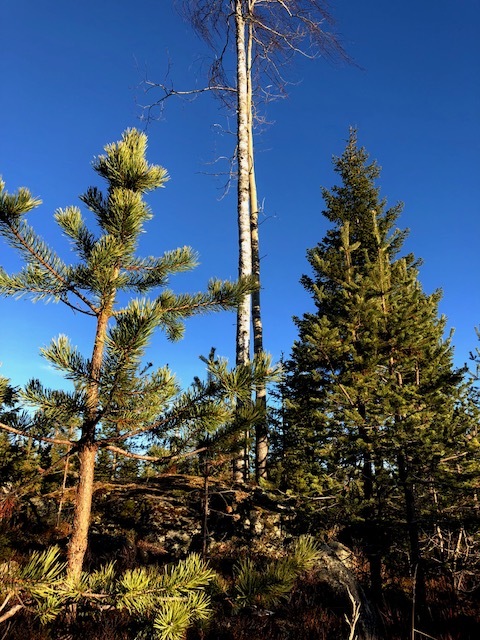 I was very tired from the past days of prepping and working two successful nights at Bucco, his restaurant; but in between my dozing-off and waking-up everything I saw during my drive to Lapland was forest. Mid-way during our trip we stopped in Oulu, which not only is blessed or cursed to be the world capital of the infamous and hilarious air guitar, but also it was my first splash of Lapish food; Jani’s friends Antti and his wife Ritta invited us for a quick pit stop lunch. They had a beautifully set up table and some interesting delicacies. Black Grouse livers (Urogallo), Reindeer tongue (Lengua de Reno), Cappercallie gizzards, cold smoked Reindeer (Reno ahumado), an eel called Lamprey (Lamprea ahumada), smoked and served with dill and sour cream, Gravlax and cold smoked salmon, Rieska a flat soft bread made with barley, rye bread and of course the inevitable rich and beautiful butter from Finland. Then we had a soul-warming soup made with ribs, neck and chest of the Reindeer. I could have stayed two more hours enjoying their company and lunch but we had to continue and so we did for just a few more hours until our final destination Roveniami, the house of Santa and the Arctic Circle line. There Mika and his wife Elli were waiting with dinner. After such a long ride with Jani we were ready to drink wine, relax and eat. We had a simple and flavorful dinner: home cold smoked salmon, cut in thick slices with some crispy rye bread called Jussinkorppu, a smaller version of the Rieska we had for lunch. I can feast on just that, butter, bread an amazing smoked salmon for breakfast, lunch and dinner, but then we had Hirvi Käristys, a mousse stew made with beer, served with Lapish mashed potatoes, Lingonberry jam and pickled cucumbers. Those simple flavors that hit the spot inevitably. 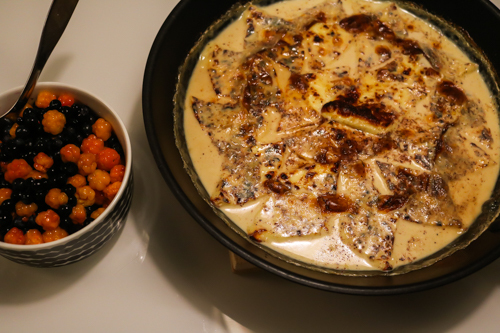 For dessert, they made Leipäjuusto, a cheese that is cooked in cream, brown sugar and cinnamon and served with cloudberries and blueberries. Everyone after dinner started fading away, Mika crawled to the couch with his wife, Jani and I stayed sipping great wines, at some point him and I faded. That was certainly a memorable and outstanding Lapish culinary day.